After a busy term, the school holidays can be a blessed relief – at least until day three, when the ‘I’m bored’ chorus begins. To avoid this parental nightmare, it helps to go into the holidays armed with a small arsenal of activity ideas. Strike on the right project, one that captures your kids’ imaginations, and they’ll be occupied, not only for the time it takes you to drink a hot cup of tea, but possibly for several days! This is a fun gardening activity that can be done even if the weather is dodgy. 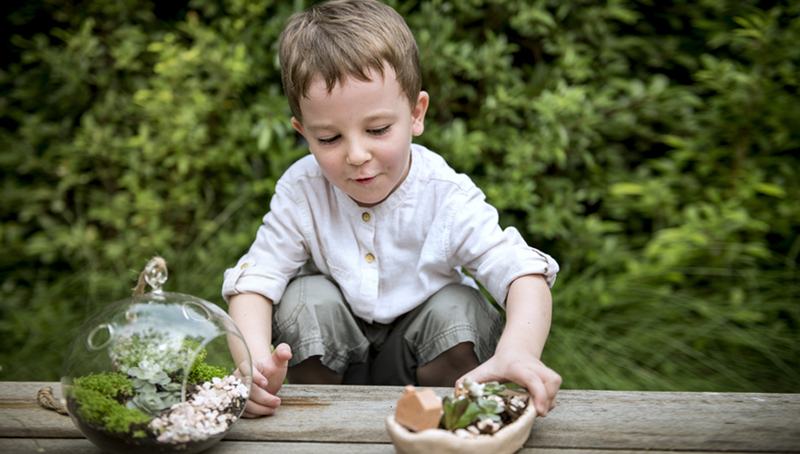 Get the kids involved in the planning of their terrarium, show them pictures on the internet and encourage them to draw a picture of what they want their own to look like. 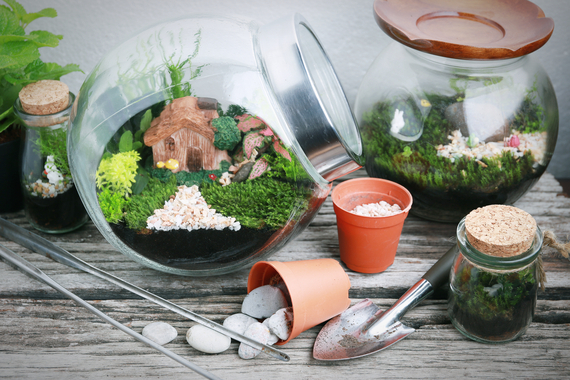 At this point, you can also decide whether the terrarium will house succulents or moisture-loving ferns and mosses (if the latter, find a jar with a lid to create a humid environment). Shop for the necessary supplies – gravel rocks for the base, charcoal, potting soil and little plants, and a glass vessel (jar, fish bowl, or whatever takes your fancy). Go for nature walks in the local area to find decorative props – shells from the beach, pretty coloured stones, tiny pine cones or acorns can all look great. Then finally, add colour with little animals, Lego men or whatever your kids want to repurpose from their toy collection. A great one for all ages, this project can be as simple or as involved as you like. 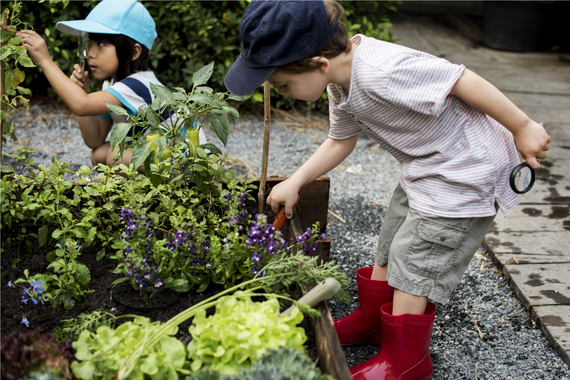 If you have a bit of a garden and the weather allows, take it outside and let the kids get creative with any spare scraps of wood or other building materials you have onsite. For older ones, this might be an opportunity to teach them some basic handyman skills, while younger kids might be happy if you just let them drag home any fallen branches they find on their travels to construct a garden lean-to. Another idea, which works for indoor and outdoor cubby houses, is to donate a few old sheets to the cause and encourage the kids to go nuts with paint, decorating them with pictures of windows and flower boxes on one side and indoor furniture on the other. Hang them up and you’ve got an instant, fully furnished cubby! Start with a scrapbook and get the kids to create a visual diary of their school holidays. This might include written descriptions of what they did each day and what they liked best or, particularly for younger ones, it might be mostly a collection of drawings, illustrating their adventures. Encourage them to collect souvenirs of their favourite activities and paste them in, from movie ticket stubs to museum maps. This activity starts with a craft extravaganza! 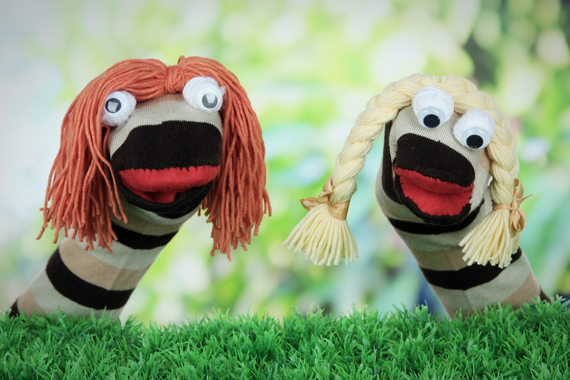 Round up a bunch of old socks and set up the kids with some glue, googly eyes, bits of coloured felt and scraps of wool. Encourage them to make a few colourful creatures, which can be as wacky as they like (six-eyed monsters perhaps?) or based on characters from their favourite books (Red Riding Hood or a purple-prickled Gruffalo would look great). Next, set to work on a theatre, which is basically just an old cardboard box with the back and base removed to leave just the front and two short sides. Cut out a square from the front panel, then unleash the kids with paint. The theatre can be as elaborate as they like, with optional scraps of fabric for curtains and strings of fairy lights around the ‘stage’. Encourage the kids to script and rehearse their own play, or recreate one of their favourite stories to perform for the family. Family tree projects are a great way to engage kids with their family history and can be easily customised to suit different age groups. Older kids might want to see how far back they can go, quizzing older family members and collecting stories along with names and dates. Keep it simple for younger kids and make it a fun craft project, starting with a large sheet of paper, tracing the shape of a tree trunk and helping them to fill in the branches. To make it more fun, kids could draw their family members or even capture the rellies on camera!